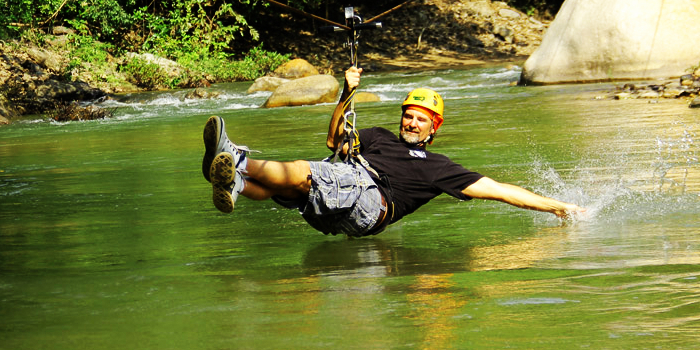 Do not miss your chance to experience the rugged and natural side of Puerto Vallarta on our unforgettable Los Veranos Canopy Adventure! 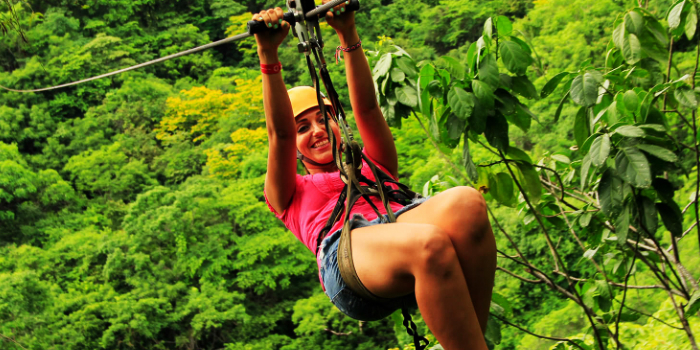 This is where the adventure seekers and nature lovers come to experience a once in a lifetime sort of experience through the dense jungle forests of Puerto Vallarta. Starting off with a quick briefing on safety and maneuvering techniques, the canopy adventure begins with easier zip line flights. 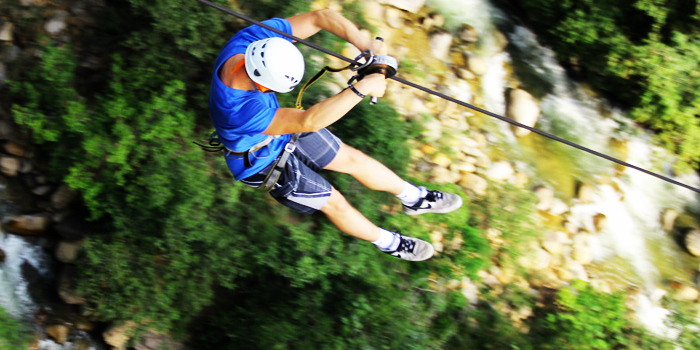 These milder flights will make you comfortable zip lining several dozen feet up in the air. Then, you will be taken to higher elevations where you will begin to explore the astounding Juntas de Los Veranos ecological preserve. 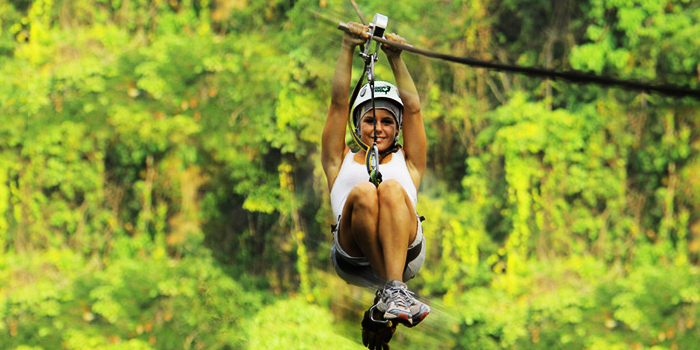 You will zoom down a total of 14 different cable zip lines, passing over trails, rivers, and the forest canopy. 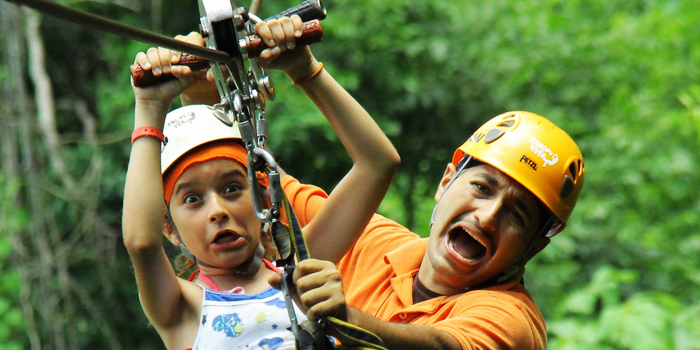 Our longest cable measures 1365 feet in length and is sure to get your adrenaline pumping and your heart pounding. 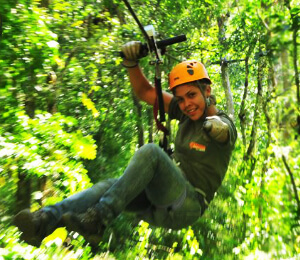 Many consider these canopy adventures to be life changing, as they allow them to experience nature in a way that few people ever get to see for themselves. Our tours all include professional and friendly tour guides who will be on hand the entire time to ensure your safety. There are also a lot of other fun opportunities including water slides and swimming in the gorgeous Orquidias River. Then, you can enjoy delicious authentic Mexican food and sample about 80 different kinds of tequila. Minimum age and Height: 5 years old and 40 inches tall. Tour does NOT operate on Sundays and will also be unavailable on Christmas Eve, Christmas Day, New Year's Eve and New Years Day. I have been to the Bahamas many times, but Canopy Los Veranos is one of my favorite trips! It includes everything that everyone should do here. As a Bahamas veteran, I can say only the best about this experience!